Do You Have a Memory of a Past Life, Déjà vu, Near Death (NDE), or other Type of Experience? ​I Want to Hear About It. ​his is a new blog that will be dedicated to the subject of ​Reincarnation, Past Lives, Life After Death, and Near Death Experiences and related subjects. Our host of AuthorTalk will comment, and give his own personal experiences as part of this blog, however, this is to be a site for our readers to join in and contribute their own experiences. Please feel free to contribute your own life stories. Do you remember a past life? Have you discovered an historical event that matches that memory? Have you had a déjà vu experience that can't be explained? Have you been hypnotized and found yourself experiencing a past life? 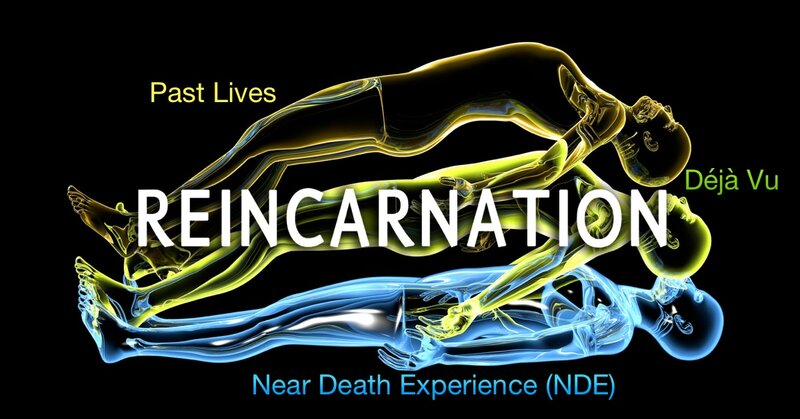 Were you operated on, or "died" and had a Near Death Experience (NDE)? 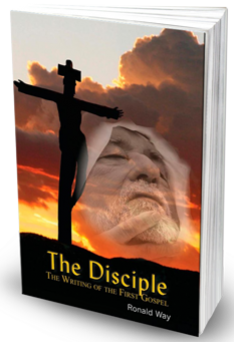 Many people, including the host of AuthorTalk, Ron Way, as well as Ben Franklin, Henry Ford, Carl Jung, Walt Whitman, Mark Twain, Rudyard Kipling, Thomas Edison, Kahlil Gibran, Gandhi, and thousands of others believe that they have had these experiences. If you have had an experience you would like to share, email that experience to our host at: ron@crossingtheline.me. Use the word "Reincarnation" as the subject. By submitting your experience to us, you are giving us permission to publish your experience on this blog and other Rising Light Media and AuthorTalk religious and spiritual outlets. We would love to have you join us by sharing. ​Thanks to all of you that submitted your stories about your personal experiences of reincarnation and past life memories. I will post them here as I can. Please keep sending them to me at ron@crossingtheline.me. This story is from a friend of mine whom I have known for over thirty years. She is a very spiritual person and has been a meditator for all of those years. Here is her story, memories that she gave to me so that I can share them with you. Picture of Karen Sherwood with AuthorTalk host, Ron Way, sitting on the wall of an Heiau (Hawaiian sacred place, or place of worship) hidden in the jungle near her home on the island of Kauai. Months later, this is where the past life experience took place. I am still. Yet there is such motion all around me. Birds flying, roosters crowing, waves crashing as I sit on ancient stones. I have had an experience that suggests time is not what it seems. I am sitting in silent meditation. As my breathing slows my mind feels free to float. In this floating state, I greet an energy I call the light-being. It feels like a familiar soft energy and it connects with me in physical form through a sensation of love. On this day, as I feel the loving approach, I see for the first time that I am opening to an aspect of me. This light-being is me living in another dimension or time, in the past…or the future. Time is seemingly a circle. Is the past… the future? As this connection is made I feel a heightened experience of the tactile world around me. I feel the touch of the breeze more completely. This being that has joined me in my physical form speaks gently in my mind. My heart is full and expanding. My sense of wellbeing increases as I sit in joy. Quietly I hear thoughts of gratitude. “This is an exchange,” it is whispered. My light-bodied other (self) is enjoying the sensation of wind, of sound, of touch and smell, and in return offering me a broader vision, the ability to understand mysteries, see past and future events, feel the life force of the tree, the heart of the stone. A lovely exchange. Suddenly my attention is drawn towards something. A vision is unfolding in front of my eyes. One so unexpected I cannot tear my consciousness from what I am witnessing. Behind my closed lids there are two children. I am looking down on them and they are in a dire circumstance. We are far back in time. These children are chained in a small dungeon. It is made of stone with a dirt floor. I am one of these children. I appear to be a young girl, maybe 6 or 7 with an older boy of about 10. There are rats scratching about and flea infested straw on the ground. It is cold and water is dripping from somewhere. It is very dark, only the smallest light from a torch attached to a wall, up a set of stone steps on a small landing. As I watch what is unfolding, I can feel a sensation of terror. My throat is dry, my breath shallow. I hear heavy footsteps on the stone. A man appears with an older boy. He looks at me in a menacing way. The boy who is chained beside me is my brother. He shouts for them to leave me alone. I cower and watch horrified as the man attacks my brother. As my brother is trying to protect me, he is beaten severely. I am screaming. My brother is badly hurt and bleeding, but is still trying to distract these attackers away from me. Suddenly he is struck down. Killed by the angry man. Is this how a story we work lifetimes to unravel gets inserted into our soul’s journey? Could these beliefs hold us in earth’s physicality to return again and again trying to resolve. I’m pulled back to the scene. The child has been left alone with her dead brother. She weeps. Eventually I see she is drifting to sleep. I feel I am her. I see her dreams. She is dreaming of a place that is warm and green. She sees stone upon stone, green moss, an ocean. She is dreaming of me sitting in the temple on a stone. We are looking into each other’s eyes across this veil of time. As she gazes upon me I feel the presence of the light-being. She sees this light-being and is overcome with peace. She believes she is seeing an angel of light. The little girl begins to pray… and hope. I see her energy field. It was almost gone but now it is glowing. As she wakes from this vision, I notice the brother. He is not dead. She whispers comfort to him saying the angel told her they will be rescued. I hear noises. Someone is coming. The picture begins to fade. I am leaving this place. I know that this child does live. So does the brother. She goes on to live a long life. Will I ever see the end of this story I wonder? As I slowly returned to my own body I began to hear the breeze again, to feel the stones under my legs, to awaken into my familiar world. How long had I been gone? I sat for a long time thinking about this, trying to make sense of it. I was on a retreat with a small group of women, camping in the jungle. Something very interesting had been revealed to me about my life during this week. I saw how most of my behaviors and decision were organized around a belief I held about myself. One I held so closely I could not even see it without the reflection of these wise and awake women. It was a belief that I did not deserve many of the things that had come my way in life. As I began to understand this tendency it created a lot of emotional release. Could it be that I had just stepped into the life where that belief was born. Had that life shifted because of my new awareness in this life? Can we change the past by changing the now? As I shared my story with the group, one of the women spoke up and said she knew the castle. She knew the dungeon. She knew the boy. She was the boy. As I sat in meditation and looked back upon this experience I began to understand that when the angel came to the aid of the girl, she made a different choice in that life, the choice to live. The angel uplifted my being as that small frightened girl and gave me courage to live. In my current life, the significance of processing that undeserving belief, seeing it and releasing it, allowed for the possibility of a new trajectory for me. It allowed for the girl to make a different choice in medieval France as well. As I had begun to change through the realizations I was having, of course my future would change, But so would my past! My life did change quite rapidly after this experience. I quickly became aware of the situations in my life that were being created by my belief that I did not deserve. I witnessed many of those situations change as I stopped feeding them with the belief that ‘I am not deserving’. My mother, whom I had been caretaking, died. The bank that was threatening foreclosure renegotiated my mortgage. I travelled to France for a month. When I made it to the castle it was a chilly overcast day. As we rounded a curve in the road we could see the chateau high upon a hilltop. It was formidable with the ghosts of many souls still clinging to the stones. We entered the dungeon on stone stairs down into the earth. Once there I felt the child and my light-being self, the angel. I sat in meditation and felt the reunification of the three aspects of myself, and everything began to make sense. The little girl was the daughter of the lord of that castle. The castle was attacked on a cold winter night while the lord was away with his army. It was an important stronghold sitting at the juncture of two valleys and passage through the French Alps. She grew up safely in that castle and lived a long life of influence in the region. Let me start out by saying that I think that reincarnation is a fact! I will tell you about the unusual experience that I had and why I now accept the reality of past lives. I was 30 years old. I’d worked as a project architect for the 2nd largest architectural and engineering firm in the world (DMJM), and had just left my position to start my own firm. At the time of my experience I was designing a senior living community in Ojai, CA. On one particular morning, I was up before anyone else in the family. I went into my den, closed the door and started to meditate. For the next 2 days, I fell back in time and relived portions of 7 past lives. Some of my most vivid memories from this experience were of commonplace lives. There was one where I was an old woman (more akin to a crone) living alone in the mountains above what appeared to me an alpine village in some northern European country. There I lived alone and raised goats for their wool and their milk. This is an image to the right of what I imagined I looked like in my mind’s eye. I didn’t like people, and they didn’t like me. In another—the most recent—I was again a woman, a native American woman. I was of the Húŋkpapȟa, at the head of the Seven Council Fires, living in what is now eastern Montana and western Dakotas. It was a time before many white men were known or seen on the plains, at least in the area that we lived. I personally had never seen one. I will write a separate blog about this life later, for it was because of this memory, I met my wife, Trudy. Next was a life as a Greek general under Ptolemy, one of the four most important generals in Alexander the Great’s army. Ptolemy would eventually rule Egypt after Alexander’s empire was divided upon the Greek king’s death. This was a very disturbing life. I was a hardened soldier, immune to the suffering and pain of war. There was one episode where I gave the order to burn a city to the ground, killing all its inhabitants. I can still see it and feel it when I let myself dwell on it. I see myself watching (and tacitly approving) as my men tied a pregnant woman’s legs together as she started to give birth, undoubtedly brought on by stress. She and her child died a horrible death as my men laughed and jeered. It haunts me still. A few days after this amazing journey into the past, I found myself doubting the veracity of the experience. As the everyday world once again absorbed my time and consciousness, I thought more and more that the visions of the past that I had experienced really hadn’t happened, that perhaps I had become unhinged. But then a follow-on experience convinced me that what had happened was indeed a trip into my past, and I’ve never doubted since. In my world as an architect, each week I traveled north of Los Angeles to the small town of Ojai where I met with a client for whom I was designing a complex of 30 single-family homes surrounding a senior care facility in the center. With light traffic, I arrived an hour early and decided to drop in on a bookstore that I had seen on the small town’s main street. As I entered the small shop I was aware of the tinkling of the little bell above my head when the screen door opened. I paused at the door to let my eyes adjust to the dark interior when suddenly I gasped and literally slumped against the doorjamb. There before me (behind the counter) stood my sister from one of the Egyptian lives. She was identical with the woman in my vision. I want to stop right here and tell you that I did not know this woman, who was roughly ten to twelve years younger than I. I had never in my life seen her before. I was in shock, right along with the two women at the cash register who, although they had completed their purchase, were in no hurry to leave and miss this unusual encounter. She then proceeded to tell me that she had been living in the commune with a young man. However, she had recently told him that she was pregnant with his child, and shortly thereafter, he had packed up and left. She didn’t know where he was, and was afraid that the Christian group that she belonged to would soon kick her out. She didn’t know what to do. From that day forward, each week that I traveled to Ojai, I made sure to call her and arrange to meet her for lunch. We would each bring a sack lunch and eat it in the park across the street, and I would listen to her as her life continued to evolve. It wasn’t as if I could do anything to directly alter her life plan, but now she had a person that she could talk to and that she knew wouldn’t judge her. One of the last occasions that I saw her, she was at the park ahead of me. After sitting down next to her, she told me that she had a surprise for me, then she turned to the nearby hedgerow and said, “Come out.” Out from behind the bushes came a young man about her age, which she introduced me to, telling me that it was her boyfriend and the father of her child. He had come back and they had been married. She was so happy. One day I was scheduled to go to Ojai but she hadn’t answered my phone call for meeting as usual, so when I arrived in town I went straight to the bookstore. There was a different salesperson there, and when I asked about the girl, she said that she had had her baby a few days before, and all was well. I went down the street to the local department store and bought her a baby gift. I gave the gift to the new salesperson and she told me that she would make sure that she got it. A few weeks later I received a warm note from her thanking me for the baby gift and my friendship. I never heard from her again. I hope that all turned out as she desired. For me, it had been a validation of the experiences that I had been a part of. As it turned out, these experiences were but the first of many that would come to me during my life, but it was a most unique and amazing start.